You can’t hate yourself healthy. With more than 35 years of clinical experience as a psychotherapist, speaker and author Andrea Brandt knows all about emotional health and how important it is. Which is why we’re so pumped to share an excerpt on how to have empowering self-talk at any age from her newest book, Mindful Aging: Embracing Your Life After 50 to Find Fulfillment, Purpose, and Joy . A very important piece of maintaining a mindset of realistic positivity is our self-talk. This is where our dreams receive the rocket fuel they need to gain blastoff and reach their orbit or get shot down before they leave the ground. Most of us have an over-developed self-critic that does not seem to go away with age — unless we train it. If someone else heard our inner conversations, we would want to hide. Training the inner conversationalist can be a journey in itself. We all have the ability to choose what we focus on as well as what we say to ourselves about it. This includes what we focus on and say about ourselves. Our self-talk influences every part of our life and might just be the most important thing we do all day — either building up our confidence and self-esteem for going after what we want in life or reducing us to a pile of rubble where we waste precious time and energy reciting all the reasons we can’t. Similarly, decreasing the amount of negative thinking we do about others and the world also propels us to act and take risks, as it increases oxytocin, a neurotransmitter that greatly affects our confidence. 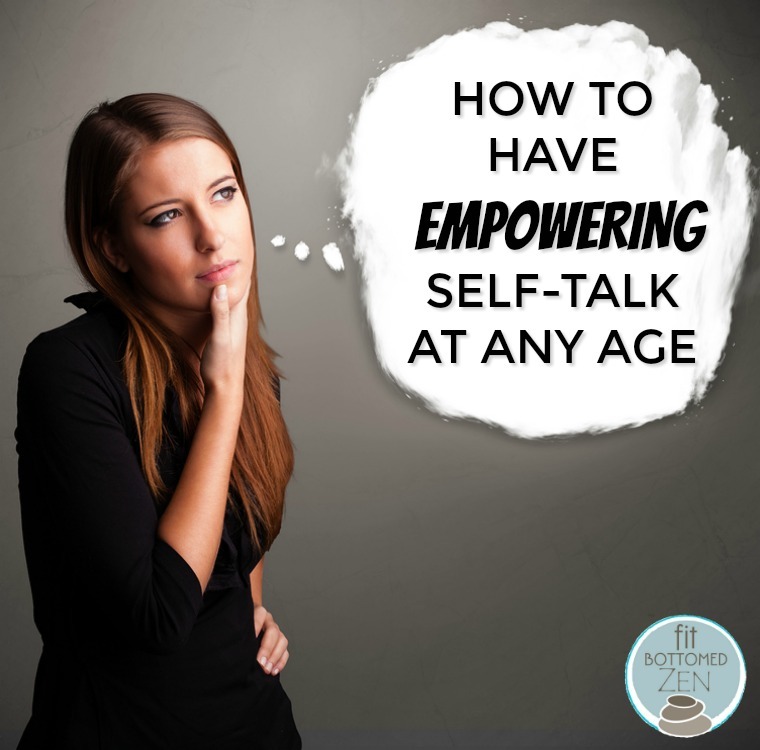 A key to living your best life at any age is to adopt self-talk that reminds you that you are in the driver’s seat, that you are actually very powerful and have a huge capacity to grow, and that you have the ability to choose and the inner resources to effectively handle challenges. You can create your life the way you want it to be. For example, just look at how differently you feel when you replace “have to” with “get to” or “choose to,” or when you replace “problem” with “project”: “I choose to get up and go to work today,” and “I have a health project.” If you can embrace the idea that every challenge truly is an opportunity to learn about yourself and life and to become wiser, more authentic, more courageous, more loving, more compassionate, and otherwise more of the person you would like to be, you will look for the lesson or gift in your suffering and find new, meaningful ways to expand. Positive self-talk helps us build on our successes. Acknowledging your efforts, progress, and achievements will create a momentum that then takes on a life of its own. You’ll also want to be specific rather than offer yourself general praise, for the greatest effect. “You’re great — I love you,” is less effective in developing confidence to keep stretching and tackling the next challenge than, say, “Look at how thoroughly you cleaned and organized the garage.” This will help you stay connected to the pleasure of a job well done and spur your enthusiasm for climbing the next hill. Our self-talk is also crucial to developing a growth mindset. 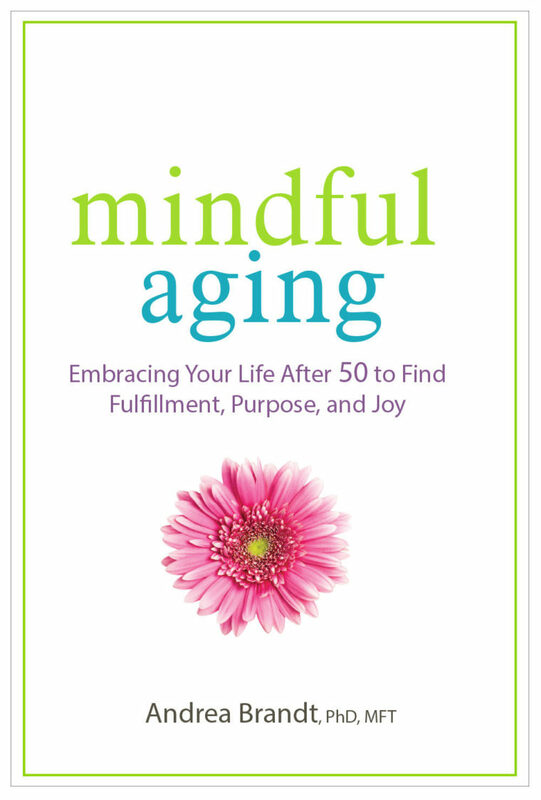 Excerpted with permission from the publisher, PESI Publishing, from Mindful Aging: Embracing Your Life After 50 to Find Fulfillment, Purpose, and Joy by Dr. Andrea Brandt. Copyright (c) 2017 by Dr. Andrea Brandt. All rights reserved. FTC disclosure: We often receive products from companies to review. All thoughts and opinions are always entirely our own. Unless otherwise stated, we have received no compensation for our review and the content is purely editorial. Affiliate links may be included. If you purchase something through one of those links we may receive a small commission. Thanks for your support! Fit bottoms come in all shapes and sizes. Copyright © 2019 Fit Bottomed World, LLC. All rights reserved. Diets don‘t work. We know because we‘ve been there.